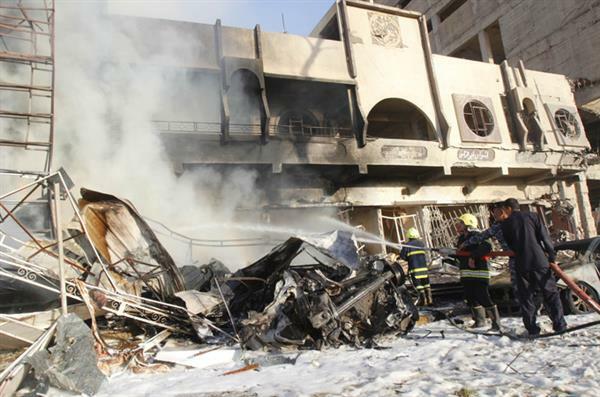 Series of car bomb blasts kill at least 21 people in Kirkuk while several people are injured in Erbil. Hundreds of ethnic Kurds marched in Paris to demand more international support for civilians in Iraq facing assaults by Islamic State fighters. Waving flags, chanting and marching behind a banner, the demonstrators pressed for more humanitarian and military aid for thousands of Yazidi refugees in the Sinjar mountains. Yekbun Eksen, a member of the Federation of Kurdish Associations of France, said the international aid was not yet enough to protect civilians. Javad Zarif on Sunday discussed the need for international efforts to eliminate the Islamic State group, which has taken over large areas of Syria and Iraq. Abadi's office said in a statement the prime minister stressed the dangers the group posed to the region. The advance of the Islamic State group through northern Iraq has alarmed the Baghdad government and its Western allies, drawing the first US air strikes in Iraq since US occupation forces pulled out in 2011. Britain's Foreign Secretary Philip Hammond said on Sunday that the killing of US journalist James Foley by a man speaking with an English accent was an "utter betrayal of our country". There is growing concern in London that British passport holders who travel to fight in Iraq and Syria could return to commit attacks on British soil. The Islamic State group posted a video on Tuesday in which a masked man with a London accent is seen executing Foley, who had been missing since his capture in Syria in 2012. The Sunday Times newspaper, citing unnamed senior government sources, reported that intelligence services MI5 and MI6 have identified the fighter suspected of killing Foley but the sources did not divulge the suspect's name. "It is horrifying to think that the perpetrator of this heinous act could have been brought up in Britain," Hammond wrote in an article for the paper. "It is an utter betrayal of our country, our values and everything the British people stand for." Britain has ruled out sending ground troops into Iraq to fight the Islamic State group, but it is sending equipment to Kurdish peshmerga fighters who are fighting - such as body armour and night vision equipment - and offering humanitarian assistance. Iraq's Prime Minister-designate Haider al-Abadi said that talks on forming a new government were constructive and predicted a "clear vision" on a unified administration would emerge within the next two days, state television reported. UN High Commissioner for Human Rights Navi Pillay says Islamic State fighters reportedly killed up to 670 prisoners in Mosul and committed other horrific abuses in Iraq that amount to crimes against humanity. The UN's top human rights official says the grave human rights violations carried out by the Islamic State group and other fighters allied with it include ruthlessly carrying out widespread ethnic and religious purges in areas under its control in an aggressive push to gain a firm grip on the northern and eastern provinces. Pillay said a statement on Monday the violations include targeted killings, forced conversions, abductions, trafficking, slavery, sexual abuse, destruction of places of religious and cultural significance, and besieging entire communities for ethnic, religious or sectarian reasons. Al Jazeera's Zeina Khodr, reporting from Erbil, said that the latest series of bombings in Shia neighbourhoods in the Iraqi capital Baghdad may be an indication that Islamic State has supporters already in the city. Iran supplied weapons and ammunition to Iraqi Kurdish forces, Kurdistan President Massoud Barzani has said at a joint press conference with Iranian foreign minister Mohammad Javad Zarif in Arbil, capital of Iraq's autonomous Kurdish region. 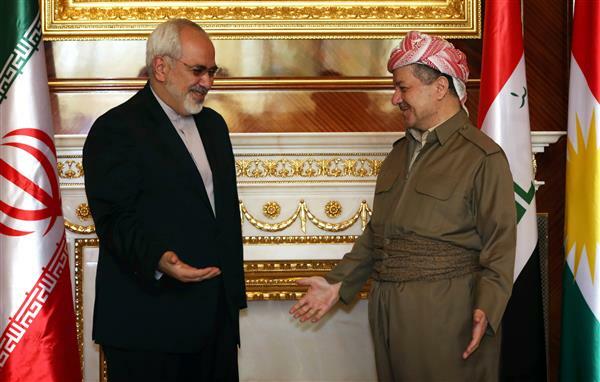 "We asked for weapons and Iran was the first country to provide us with weapons," Barzani said on Tuesday. Al Jazeera has learned that at least 11 people have been killed and 25 more have been injured in a suicide attack in Al Yussoufia township of southern Baghdad province. The six-nation Gulf Cooperation Council strongly condemned the Islamic State group in Iraq and Syria and their extreme interpretation of Islam as it opened a meeting in Saudi Arabia on Saturday. "We denounce vehemently the practices of those who use Islam as a pretext to kill and displace en masse Iraqis and Syrians," Kuwait Foreign Minister Sabah Khaled Al-Sabah said in Jeddah. He added that the regional body, consisting of Saudi Arabia, Bahrain, United Arab Emirates, Kuwait, Qatar and Oman supported a UN Security Council resolution earlier this month aimed at weakening the fighters. "The Shia Turkmen are Iraq's third largest ethnic group after the Arabs and the Kurds, and the Shia within them are a minority. Amerli is a farming town where the men have taken up arms, they're backed by Shia militia members who have been flown into the town by Iraqi helicopters. Then around that you've got the circle of Islamic State fighters and around that from both sides you have the militias and the Iraqi army. All of this of course is extremely volatile and if it fails, the fear is it could lead to even more sectarian violence and plunge the country back into a civil war." AFP news agency reported that Iraqi security forces, thousands of Shia militiamen and Kurdish peshmerga fighters were taking part in the operation to end the siege by the Islamic State group, who captured the town almost two months ago. US forces have struck Islamic State group targets near the besieged town of Amerli, but the Pentagon says it is limiting its military involvement to securing the delivery of aid to its mainly Shia Turkmen residents. Read our report here. Australia will drop military equipment and aid to Kurdish forces fighting Islamic State fighters in northern Iraq in response to a request from the United States, Prime Minister Tony Abbott said on Sunday. Australia will join Canada, Italy, France, Britain and the United States in providing arms and humanitarian relief as part of a multinational effort to be coordinated by Iraq and other countries in the region, Abbott said. 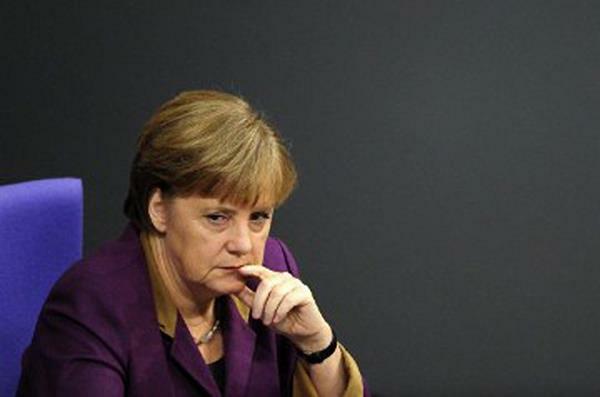 "The situation in Iraq represents a humanitarian catastrophe," Abbott said in a statement. He said Australia would continue to work with international partners to "address the security threat" posed by the rebel fighters. 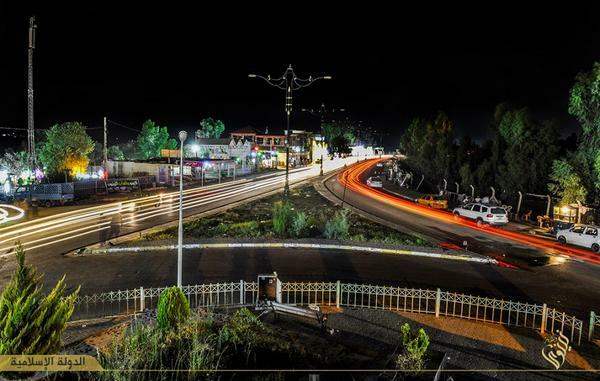 Government forces mainly composed of peshmerga fighters enter northern town where thousands of civilians were trapped. 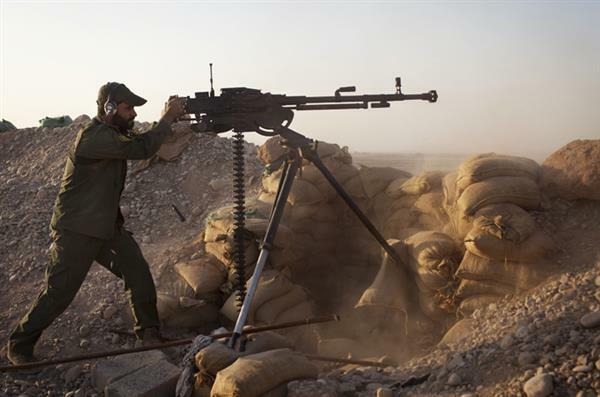 Defence minister says 4,000 Kurdish fighters will be armed to fight Islamic State group operating in Syria and Iraq. 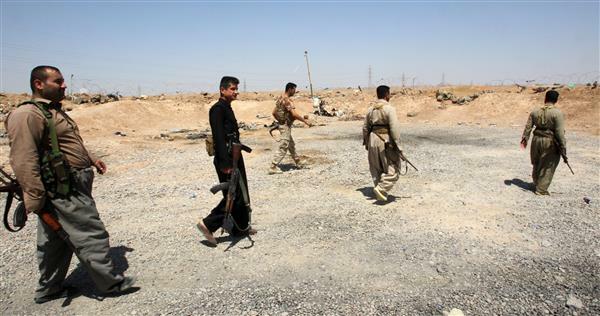 The Islamic State group has been pushed out of another town in Iraq. Sulaiman Bek, 100 kilometres south of Kirkuk, is now under the control of an alliance of Iraqi army forces, Kurdish troops and local fighters. #Iraq military spokesman says forces will move on to Tikrit - near site of IS massacre of army recruits and an IS/Baathist stronghold. #Iraqi forces say they've killed 24 IS fighters, including 8 Chechens in fighting in Suleiman Bek. Now trying to clear explosives from town. Canadian army aircraft flew out of fellow NATO member Albania on Tuesday (September 2), a part of its donation of 20 million bullets and shells to the Iraqi army battling the IS forces, a statement and pictures showed. Tuesday's delivery was the second flight Canada operated out of Tirana's Rinas airport, which took place during a visit by Canada's Foreign Minister John Baird. Former communist Albania donated 22 million 7.62mm bullets for the Iraqi forces assault weapons. Tirana also gave 15,000 defensive grenades and 32,000 mortar shells of various dimensions as well as 20,000 rocket propelled grenades. Albania's Defence Ministry showed pictures of Baird and Albanian Defence Minister Mimi Kodheli talking to the crew and chatting beside the green wooden crates on board the four-engine military plane. President Barack Obama has ordered an increase of about 350 troops in Baghdad to protect the US Embassy in the Iraqi capital, and is sending top officials to the Middle East to "build a stronger regional partnership" against Islamic State, the White House said. The White House said on Tuesday that the additional troops heading to Baghdad would not serve in a combat role. Rear Admiral John Kirby, the Pentagon press secretary, said the move to augment a US force already in Baghdad providing security at the large embassy compound and its support facilities would bring the total number of military personnel to bolster diplomatic security in Iraq to about 820. Valerie Amos, the UN Humanitarian Affairs and Emergency Relief Coordinator, reports on the arrival of aid in Amerli, which was under Islamic State siege for weeks until September 1st. Fighters from the Islamic State group carried out a mass killing of hundreds of Iraqi soldiers captured when they overran a military base north of Baghdad in June, Human Rights Watch said Wednesday. 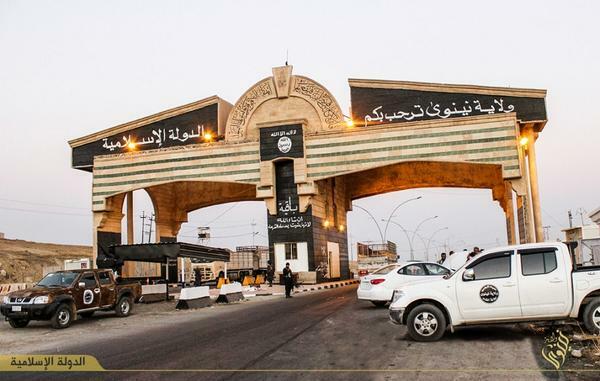 According to HRW, new evidence indicates Islamic State fighters killed between 560 and 770 men captured at Camp Speicher, near the city of Tikrit - a figure several times higher than what was initially reported. "These are horrific and massive abuses, atrocities by the Islamic State, and on a scale that clearly rises to the crimes against humanity," Fred Abrahams, special adviser to HRW, told journalists in the northern city of Erbil. IS claimed in mid-June that it "executed" about 1,700 soldiers and military personnel from Camp Speicher, an air base that previously served as a US military facility. The group also posted graphic photos that appeared to show its gunmen massacring scores of Iraqi soldiers after loading the captives onto flatbed trucks and then forcing them to lie face-down in a shallow ditch, their arms tied behind their backs. HRW said in late June that analysis of photos and satellite images showed that between 160 and 190 men were killed in at least two locations between June 11 and 14. The new Human Rights Watch report said the revised figure for the slain soldiers was based on analysis of new satellite imagery, videos from IS sympathisers and a survivor's account that confirmed the existence of three more "mass execution sites". The number of victims may well be even higher as more evidence emerges, it said. The United Arab Emirates has called for a "unified effort" to root out radical ideologies in regional hotspots including Iraq, Syria, Yemen, Libya, Somalia and Afghanistan. In a statement at the NATO summit in Wales, the UAE said it wanted cooperation and coordination against what it called the global scourge of terrorism, especially in Iraq and Syria. "An international undertaking ought to apply to other regional countries as well, including Yemen, Somalia, Libya and Afghanistan, who also suffer from the radical ideology and incitement to violence emanating from ISIL and Al Qaeda," said the statement, issued late on Wednesday. "It is important that this strategy does not stop with Iraq and Syria, but seeks to tackle the phenomenon of terrorism wherever it arises. Only through such a unified effort will it be possible to combat terrorist groups and put a stop to their violence," it said. The administration of U.S. President Barack Obama has said it is seeking to build an international campaign against Islamic State fighters in Iraq and Syria, including recruiting partners for potential joint military action. Al Jazeera's Jane Arraf, reporting from Baghdad, says a car laden with explosives has crashed into a gate of Camp Speicher in Tikrit. Islamic State fighters had previously killed up to 770 men captured at the Camp. Air strikes in northern Iraq have reportedly killed the top aide of the Islamic State group, Iraq's ranking army officer said. "Iraqi warplanes carried out a security operation today, resulting in the killing of... Abu Hajr al-Suri," General Babaker Zebari told AFP. Zebari said the strikes in Nineveh province were "based on accurate intelligence information," and that the target was destroyed. It was not possible to independently confirm Suri's death. The area where the strikes were carried out, located between Mosul and Tal Afar, is outside government control, posing a major challenge to verifying Suri's death. The United States has called for the creation of a broad international coalition against the Islamic State group by the time of the UN General Assembly meets later this month. US Secretary of State John Kerry and Defense Secretary Chuck Hagel, pressed a core coalition of 10 nations to go after the Islamic State group in Iraq and Syria militarily and financially a NATO summit in Wales. In a private meeting with the foreign and defense ministers from the UK, France and seven other nations, John Kerry said leaders need a clear strategy and a solid idea about what each country will contribute to the fight. "We need to attack them in ways that prevent them from taking over territory, Kerry said. "What we need is obviously the willpower to make sure that we are steady and stay at this," he added. Chuck Hagel, sitting alongside Kerry, said the group of 10 nations represents a core coalition that will be needed to face the insurgent challenge. He said the group can then be expanded. "There is no time to waste in building a broad international coalition to degrade and, ultimately, to destroy the threat posed by ISIL," Secretary of State John Kerry and Defence Secretary Chuck Hagel said in a joint statement. Canada is sending dozens of military advisers to Iraq as part of an effort to bolster Iraqi forces against Islamic State group, Prime Minister Stephen Harper has said. Prime Minister Stephen Harper said on Friday they will join the US in advising Iraq on how to enable security forces in the northern part of the country to be more effective against the threat posed by the group. "Left unchecked, ISIL (or Islamic State) is also a direct threat to Canada and its Allies," Harper said, using one of the acronyms for the group. #Iran deputy foreign min to @FRANCE24 - Iran, US have common interests in fighting IS but not cooperating. Iran providing military advisors. The United States and Iran have denied plans for any military coordination in the fight against Islamic State group operating in Iraq and Syria. Saudi Arabia has inaugurated a 900km multi-layered fence along its northern borders, as part of efforts to secure the kingdom's vast desert frontiers against infiltrators and smugglers, state media has said. King Abdullah announced the launch of the first stage of the border security programme, stretching from Hafr al-Batin, near the Iraq-Kuwait border, to the northeast town of Turaif close to Jordan. The project includes five layers of fencing equipped with watch towers, night-vision cameras and 50 radars. SPA said it will cut the "number of infiltrators, drug, arms and cattle smugglers to zero." Relations between Iraq and Saudi Arabia have been deeply strained since Riyadh accused outgoing Iraqi Prime Minister Nouri al-Maliki of creating the conditions for the Islamic State group to emerge by marginalising its Sunni Arab minority. 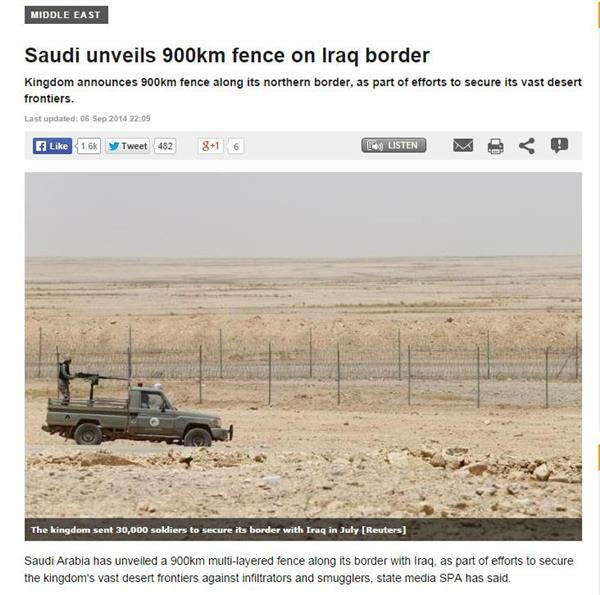 And here's our report on Saudi Arabia's new border fence with Iraq. A top security spokesman told Al Jazeera that the Iraqi government expected the US to also conduct airstrikes on areas on the outskirts of the capital, known as the Baghdad belt – an area particularly important to Iraq's security. "If we want a remedy for this cancer of course there must be help from the global system and if there is real help from the American side we will tackle it in a shorter time - especially when we are talking about air power. If the Americans will be with us in this offensive everything will be ok," the interior ministry spokesman told Al Jazeera. Iraqi state TV says its troops are now in control of the northern entrance of the town of Berwana, about 15km south of the city of Haditha. It says they killed 15 IS fighters in the operation. The office of the governor of Anbar has told Al Jazeera that Ahmed Khalaf al-Duleimi was slightly injured by shrapnel in a roadside bomb targeting his convoy near Barwana south of the city of Haditha. US President Barack Obama says he will unveil a strategy to go after the Islamic State group on Wednesday. "I just want the American people to understand the nature of the threat and how we're going to deal with it and to have confidence that we'll be able to deal with it," Obama said. Jordanian cleric Abu Qatada, has denounced the beheading of US journalists by the Islamic State group, calling IS fighters "dogs of hellfire," as he awaits sentencing on terror charges. Speaking to reporters from the dock at a Amman courthouse Sunday, Abu Qatada repeated his condemnation of IS that controls swathes of territory in Iraq and neighbouring Syria. Asked about the beheading claimed by IS of American journalists James Foley and Steven Sotloff, he said: "Journalists should not be killed because they are messengers of the truth." He lambasted IS, branding it "a killing and demolition machine" and likened its fighters to "dogs of hellfire". Abu Qatada was deported from Britain to Jordan in July 2013, after a 10-year legal battle, to face two separate trials. In June he was acquitted of plotting a 1999 attack on the American school in Amman but is still being tried on another terror charge of conspiring to attack tourists in Jordan during millennium celebrations. The court, meanwhile, postponed his trial to September 24. Abu Qatada had previously denounced IS for declaring an Islamic caliphate calling the declaration "void". US President Barack Obama is expected to outline his plans for further action against IS, on Wednesday. Al Jazeera also speaks to Douglas Ollivant, who is a senior national security expert at the New America Foundation. Two suicide bombers detonated explosives-rigged vehicles on Monday in a town north of the Iraqi capital that has battled jihadist fighters, killing 10 people, police and a doctor said. The Jordanian minister of information and communications affairs Mohammad al-Momani told Al Jazeera's Nisreen el-Shamayleh that the governor of Iraq's Anbar province Ahmad Khalaf al- Dulaimi has arrived in Jordan for treatment of critical injuries he sustained in Iraq on Sunday. The Jordanian Minister has refused to give details on how Dulaimi was injured. Meanwhile an unnamed source at the Iraqi embassy in Amman said that Dulaimi and his deputy of Haditha Abdul Hakim al-Jughayfi have both arrived in Jordan for medical treatment after they were targeted by the Islamic State group. The source said they were transferred to the Medical City military hospital in Amman and have both had operations. Dulaimi's condition is not stable he said. Despite earlier report that the condition of Anbar province Ahmad Khalaf al-Dulaimi is "not stable", other sources said that he is in stable condition. Dulaimi, who was injured in an attack on Sunday, was operated on in Jordan this morning for wounds to the head, and for internal intestinal injuries caused by shrapnel, the source said.